The following is a detailed guest post by Dr Ted Trainer, University of NSW (http://ssis.arts.unsw.edu.au/tsw/). In it, he provides the most detailed critique I’ve yet seen of the recent IPCC renewable energy scenarios report. Now, I don’t agree with everything Ted says — in particular the conclusion that the only feasible alternative to large-scale renewables is “The Simpler Way” — but that’s another matter. His analysis of the report is important and robust, and deserves wide dissemination. Ted is also looking for critical feedback, so please supply this in the comments at the foot of this BNC post. Below is a critical discussion of the recent IPCC Working Group 3 Report on Renewable Energy. It is being referred to as a report from many experts showing that the world can be running mostly on renewable by 2050. However I think it is a remarkably unsatisfactory document. Following are some of the main points I detail. • It is not a report on an examination by the IPCC of the potential of renewables. It is a statement of the conclusions evident in 164 studies, which were not selected at random. The IPCC does not evaluate these studies; we do not know how valid their conclusions are. • What the IPCC actually concludes is that more than half the studies reviewed project that renewables could provide more than 27% of energy in 2050. Again, the IPCC does not inquire as to whether such projections are sound. • There is no reference to the studies I know of that doubt the potential of renewable energy. • Even if this conclusion could be regarded as well-established it would fall far short of solving the greenhouse problem. According to the IPCC’s own figures it would leave us with a higher CO2e emission level than we have now. Yet the Report’s air is one of optimism. • In the key Chapter 10 most attention is given to one study which concludes that by 2050 70% of world energy could come from renewables. This study, by Greenpeace, is highly challengeable. It does not establish its claims, and it fails to discuss a number of problems confronting renewable energy. • The brief reference to investment costs is not derived or supported, and is highly challengeable. I sketch three approaches indicating that the cost would be far higher than claimed, and not affordable. The document is puzzling. It does not do what it should have done, and is being taken to have done, i.e., critically examine as much of the evidence as possible on the potential and limits of renewable energy in order to derive demonstrably convincing conclusions which deal thoroughly with all the relevant difficulties. It does not advance the issue; it just summarises what some others have said, without assessing the validity of what they have said. Most difficult to understand is why it gives so much attention to one clearly problematic study, and allows its highly optimistic conclusions to be taken as those the IPCC has come to. It is likely that as the Report is examined it will damage the credibility of the IPCC. The Report reinforces the dominant faith that renewable energy can save us and there is no need to question the commitment to affluent living standards and the pursuit of limitless economic growth. In my opinion that belief is seriously mistaken and this report will make it less likely that attention will be given to a sound analysis of our situation and what to do about it. I should make it clear that my comments do not cast doubt on the IPCC’s statements re: climate science. It is also my view that we should transition to full dependence on renewables as soon as possible…although this will not be possible in a consumer-capitalist society. I would appreciate critical feedback. Intergovernmental Panel on Climate Change, Working Group 111, Mitigation of Climate Change, Special Report on Renewable Energy Sources and Climate Mitigation. June, 2011. With these weighty credentials the report is likely to be accepted as an authoritative and definitive statement that transition to renewable is possible, does not require significant social change, and is affordable. However the following discussion details the reasons for regarding the report as remarkably unsatisfactory and as not establishing the main conclusion attributed to it. Following are the main points. The report does not show that renewable sources can meet future energy demand, or a large fraction of it. It is not that its attempt to show this is unsatisfactory; the point is that it does not offer a case; it does not attempt to show what proportion of demand could be met by renewables. It presents much evidence relevant to the issue, but this is not put together into a case which sets out reasoning leading to the conclusion that the necessary quantities could be provided, how they could be provided, and that the difficulties could be overcome. The report merely presents the results of some studies which state conclusions about renewable energy’s potential, without attempting to assess their worth. It is argued below that the main such study, on which the WG3 report relies heavily, is deeply flawed, is of little or no value and does not establish its claims. The report should be a detailed analysis of the potential and limits of renewable energy, deriving conclusions about what proportion of demand it can meet, and demonstrating these conclusions via evidence and transparent assumptions and reasoning that others can work through to assess how well the conclusions follow or are established. The reader should be able to go through the argument to satisfy himself that the conclusion is valid, that it can be seen to follow from the reasoning, (or to decide how well it has been established, what assumptions are weak, where better evidence is needed etc.) The report does not engage in a discussion which enables such an assessment. The actual conclusion regarding renewable potential the Report’s states is as follows. Note firstly that this conclusion is not saying that 80% of 2050 demand can be provided. Note secondly that it is not a conclusion the IPCC’s WG 3 has come to; it is a summary of the conclusions the selected studies have come to. The 173 EJ/y median renewable contribution foreseen is around 20% of the 2050 demand we are heading for. There is no critical examination of the 164 studies. There is no list of the studies enabling their examination. (There is a list which seems to be of 16 research groups carrying them out.) It is not explained how they were selected; it is said that they were not randomly selected. Were only optimistic studies selected? There is no reference to any of (the few) studies that I am aware of as having been published doubting the capacity of renewable energy to meet demand. (These include Hayden, 2004, Trainer, 2007, 2010a, Moriarty and Honnery, 2010.) A satisfactory review would have presented the details from an IPCC working group reporting on their thorough critical examination of all, or a representative selection of, the reports to determine whether their quantitative conclusions were sound or plausible and whether the difficulties had been dealt with. There is no analysis of this kind. In other words the IPCC has not carried out an evaluation of literature in the field; it has only summarised the conclusions of (a select number of) studies, with no apparent effort to check on their validity. There is no recognition of the great deal of “boosterism” evident in the renewable energy field, driven by the desire of technical people to gain credit and research funding, the wish green agencies have for solutions which do not involve radical social change, and by the desire of politicians, commerce and publics to believe that renewable can save us. Several crucial difficulties and problems confronting renewable energy supply are either not dealt with adequately, or not mentioned at all. It is argued below that some of these are not likely to be overcome. The report focuses on “scenarios”, i.e., descriptions of imagined future situations, which do little more than allocate a contribution to renewables. For the question at hand there is little value in presenting conceivable future situations; what matters is the derivation of conclusions to do with quantities that are likely to be achievable. There is no discussion in the report as to whether these assumed 2050 situations could be achieved, whether the quantities of renewable energy assumed are realistic, or whether the problems in providing those quantities where and when required can be overcome. It is acknowledged that some of the 164 scenarios involve “back-casting”, i.e., they begin with an imagined, preferred greenhouse emission rate, then work back to determine what contributions various renewable sources would have to make to achieve this rate. Again this is of no value unless the question of whether or not those quantities and contributions can be achieved is dealt with convincingly. The report depends heavily on one of four selected studies. This is the source of the claim that 80% of energy could come from renewables by 2050. It will be argued below that this study is remarkably superficial, unconvincing, mistaken and misleading. Even if the Report’s main claims are accepted, this is of little consolation. Even if renewables could supply 27% of energy by 2050, then catastrophic climate change is very likely. World energy demand is heading towards a doubling by 2050 so if one quarter of it could be met by renewables then the other three quarters would still have to be met by fossil fuels (unless breeders or fusion can deliver about 750 EJ/y by then, and meet all present non-electrical demand.) The IPCC’s graphs (Summary Chapter 1, p. 10) show that CO2e is heading for an average estimate of 65 GT/y by 2050. 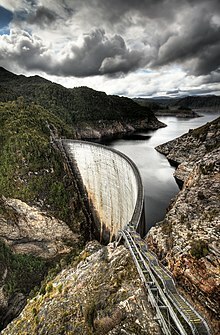 If renewables cut this by 75% by 2050 we would still have around 50 Gt/y of emissions, far more than the present amount. In 2007 the IPCC 4AR said emissions must be cut to between about 6 and 13 Gt/y. But it is very likely that we will soon recognise that emissions to the atmosphere must be totally eliminated by 2050. (Hansen, 2008, Meinshausen et al., 2009.) If we don’t do this we will go past the emission budget limit. (Carbon Capture and Storage can’t solve the problem, because it is very unlikely that more than only 80 – 90% of emissions from stationary sources can be captured. Metz, 2005, Trainer, 2011, Section.) Therefore even if renewables can provide one quarter of demand as the IPCC says, that would fall far short of solving our energy and greenhouse problems. After elaborating further on some these points an indication will be given of the reasons indicating that renewable energy sources cannot meet 2050 world energy demand. Chapters 2 – 7 and 9. These chapters provide lengthy and valuable compilations of information on the various renewable energy technologies. They do not discuss their combined potential, which is the subject of Chapters 8 and 10. A concern raised by these chapters is that the focus is on the “technical potential” of the various sources, and this is of little importance. Huge and impressive amounts are documented, in general 40 times human energy use. This information is of little significance; the question is what quantity of it can be reliably provided. In the case of biomass there are estimates which differ by a factor of 50. The biomass chapter offers a detailed and valuable outline of important evidence and issues. It reflects the extensive and confusing diversity among estimates of potential yield, and indicates the dependence of estimates on the assumptions made. Some studies conclude that the biomass potential is very large, for instance 1548 EJ/y according to Smeets and Faiij, (2007) (reported on p.16 of IPCC, 2011, Chapter 2), but the report points out that these might best be regarded as defining theoretical maxima while achievable yields are another matter. It notes that the total net primary productivity of all vegetation on the planet is only about 1550 EJ/y, so a realistic estimate of the amount that might be harvested for biomass energy is likely to be a small fraction of this. The difference between “technical” potential and a realistic figure which takes into account all the social, economic, political and ecological limiting factors is typically very big. For instance Field, Campbell and Lobell conclude that only 27 EJ/y can be obtained, under 2% of the Smeets and Faiij figure. The Report estimates that the median estimate in its selected studies is 250 EJ/y. It says residues might make up 30% of the potential biomass resource, which means that the land area that it assumes could be planted for harvest would be c. 700 million ha at its assumed c. 13 t/ha yield (which it is argued below is too high.) Some analysts say this is possible, but I think it is a technically unlikely figure, and it is ecologically and socially/morally unacceptable, for the following reasons. There is already great pressure on all the land on the planet, and it is commonly accepted that food production will have to double. Normal economic growth will deliver an economy in which there is three or four times as much producing and consuming going on in 2050 as there is now, with corresponding increases in resource demand. Rising energy costs will tend to move structural materials from steel, aluminium and cement to timber. Thus the demands on land for other than biomass energy will probably intensify greatly. The report notes that water is a problem for very large scale biomass production. It will be removed from ecosystems in the biomass. Large quantities of carbon would be removed from soils and ecosysterms. Patzek (2007) argues that over the long term carbon should not be removed and if it is soils inevitably deteriorate. The biodiversity effects are probably the most disturbing. The holocaust of species extinction humans are now causing is primarily due to the fact that we are taking so much natural habitat. We take 40% of the land NPP. (Vitousek, 1986.) Obviously we should be returning vast areas to natural habitat, not thinking about taking more. For these reasons it is probable that only a relatively small amount of land should be put into global biomass energy production. It is therefore anything but clear how much biomass energy we should attempt to produce, but it would seem that the figure would be a small fraction of the 250 EJ/y the IPCC reports as the average of the estimates reviewed. Conclusions depend greatly on the assumed biomass growth yield. The common biomass energy yield per ha assumption of c. 13 t/ha/y, also made by the IPCC, is unrealistic. It is easily achieved in good conditions, such as willows on cropland, or forests on good soils with adequate irrigation and fertilizer applications, but very large scale biomass energy will have to use large areas of marginal and/or damaged land. World average forest growth is only 2-3 t/ha/y. A more realistic biomass-energy yield figure might be 7 t/ha/y. Even if 13 t/ha/y is assumed, i.e., 234 GJ/ha/y, a 250 EJ/y harvest would require more than 1 billion ha, which is highly implausible. Almost all renewable energy sources other than biomass only produce electricity, but electricity only makes up 25% of rich world use. Biomass is therefore the best source from which to produce the 75% of demand which is in non-electrical form. It will also be needed to plug gaps in wind and solar input. Clearly 80 – 100 EJ/y of biomass energy would not go far towards meeting these needs. There are a number of very important problems to do with renewable energy supply with which the report does not deal at all, or deals with superficially, or fails to draw significant conclusions about. Variability, winter, peak demand, etc. The report does give considerable space to the discussion of intermittency and presents much valuable information. However it does not deal well or at all with some major issues, does not deal with the implications for limits to potential and certainly does not show that the problem can be sufficiently well overcome. Often innocent-looking understatements mask huge difficulties; e.g., “Also of some concern is the possibility of low wind power production at times of high load.” (Chapter 8, p. 30.) “An increasing penetration of variable renewable sources implies a greater need to manage variability and uncertainty.” (Chapter 8, p, 38.) Such statements are true but misleading but they do not make it clear that these are extremely big and difficult problems for which there are not foreseeable solutions and which will probably prevent renewables making a large contribution. The Report makes the surprising statement, “…there are few if any technical limits to the planned system integration of renewable technologies across the very broad range of present energy supply systems.” (Chapter 10, p. 4.) This could be interpreted to be making a claim that is quite true, i.e., it is possible to integrate renewables to some extent and more than at present, but it is a highly misleading statement because it reads as if it is saying there is no limit to the extent. The following discussion shows that this is seriously incorrect. More importantly still, in a winter month there is significant variation in solar radiation around the average for that month. The climate data from NASA (2010) shows that radiation across a winter month can average 40% below the long term average for that month, meaning that for much of the month it would be much less than 40% of the winter month average. A renewable energy supply system to meet a large fraction of demand would need the surplus capacity to meet peak winter demand when solar radiation was under half the winter average. Combining these two factors, a peak high in demand and peak low in energy availability, more than doubles the amount of capacity that seems to be required when calculations are based on average demand and average radiation levels. This factor has huge implications for costing, because it means that a renewable power station would need more than twice as much generating capacity than a consideration of average annual insolation and demand would suggest. The report does not deal with the limits these considerations might impose on future renewable energy supply. There is at times vague reference to problems that will have to be solved, and to (a few special) cases where relatively high integrations have been achieved, but we get no indication or the proportion of the energy that might in the future be integrated from renewable sources, nor that the problems can be solved. The problem of the big gaps. However there is a much bigger problem, on which the report does not comment. The greatest challenges set by variability of wind and sun concerns the gaps of several days in a row when there might be no sun or wind energy available across large regions, including continents. Following are cases from the many studies documenting the magnitude and seriousness of these common events. Lenzen’s review (2009) includes impressive graphs from Oswald et al, (2008) and Soder et al., (2007). The first shows wind energy availability over the whole of Ireland, UK and Germany for the first 300 hours of 2006, i,.e., in mid winter, the best time of the year for wind energy. For half this period, i.e., 6 days, there was almost no wind input in any of these countries, with capacity factors averaging around 6%. For about 120 continuous hours UK capacity averaged about 3%. During this period UK electricity demand reached its peak high for the whole year, at a point in time when wind input was zero. Throughout this period the solar input would also have been negligible. Soder et al. provide a similar plot for West Denmark in mid winter, again one of the best wind regions in the inhabited world. For two periods, one of 2 and one of about 2.5 days, there was no wind input at all, and in all there were about 8 days with almost no contribution from wind energy. Coppin and Davey (2003) make the same point for Australia with its much more favourable wind resources than Germany, for instance indicating that for 20% of the time a wind system integrated across 1500 km from Adelaide to Brisbane would be operating at under 8% of peak capacity. Mackay (2008, p. 189) reports data from Ireland between Oct. 2006 and Feb. 2007, showing a 15 day lull over the whole country. For 5 days output from wind turbines was 5% of capacity and fell to 2% on one day. Similar documentation on lengthy gaps is given by Coelingh, 1999, Fig. 7, and Sharman 2005. Clearly these lengthy periods of calm are not rare or of minor significance. For several days in a winter month in good wind regions there would have to be almost total reliance on some other source. The considerable capital cost implications of having a back up system capable of substituting for just about all wind capacity (noted by Lenzen, 2009) are rarely focused on. This problem is usually discussed in terms of “capacity credit” and “loss of load probability”, but these terms can obscure the central issue. “Capacity credit” refers to “…the fraction of average capacity that is reliably available during peak demand.” (Lenzen, 2009, p. 92.) The south Australian electricity supply agency estimates that for its wind supply system this value is only 3-4%. However ”reliably” in this context means 95% probable and the crucial point concerns what can happen in the remaining 5% of the time, which is 17 days of the year. As the above cases show it is very likely that what can happen is the occurrence of long periods with negligible wind. Thus the probability of a loss of load event might be very low, but if and when it happens the entire wind contribution would have to be made up by some other source, and as Lenzen notes the capital cost of this provision should be accounted to the wind system. A similar problem associated with higher penetrations of wind and solar is to do with periods of over-supply and dumping. Lenzen (2009, p, .94) reports Hoogwijk et al., 2007 as finding that “…the amount of electricity that has to be discarded grows strongly for penetrations in excess of 25-30%.” If wind and PV were to contribute 25% and 30% of electricity then on sunny and windy days they would be generating more than twice average demand. Some degree of system “over-sizing” will probably make sense but the capital cost implications are easily overlooked. System capital costs should be divided by electricity delivered, not generated, to arrive at a realistic system capital cost per kW. The usually overlooked need for redundancy. Optimistic claims re the potential of renewable energy (e.g., Stern, 2006, The World Wide Fund for Nature, 2010, Zero Carbon Britain, 2007, Greenpeace International and European Renewable Energy Council, 2010), typically fail to recognise the need for large scale redundancy in generating capacity, caused by the fact that often one or more component systems will not be contributing much if anything. For instance, when the availability of solar energy is low, enough wind capacity (or some other source) would have to have been built to make up that deficiency. When there is little wind there would have to be on hand sufficient solar generating capacity to meet the deficit. Thus total system capital cost might be several times what at first seemed to be required. This shows that the crucial questions regarding renewable energy supply are not clarified by information on the “levelised cost” of 1 kWh from the various sources, nor by figures on their average annual contributions. What matters most is the capital cost of the quantity of plant required to cope with a) periods of minimal or zero energy availability, b) periods of maximum demand, and c) the required amount of plant redundancy to cope with variability which at times reduces or totally eliminates contributions from one or more components of the total system. The issue is illustrated by Stern’s Fig. 9.4 (2006) which attributes 8% of future energy supply to wind. The typical procedure is to multiply such a quantity in kWh by a levelised cost for 1 kWh of wind energy, and to regard the result as the cost of the wind component in the proposed total supply system. What this fails to recognise is that there will be times when there is little wind and then there will have to be enough extra solar or other capacity to compensate for this, and there will be times when solar input is low and there will also have to be enough extra wind (or other) capacity to plug that gap. The total system will therefore need much more wind plant than would be sufficient to generate 8% of total annual demand. Thus the common practice of focusing on levelised costs in estimating total system capital costs leads to serious underestimation of system costs. Attending to peak capital costs kW(peak) are similarly misleading. Some expect the capital cost per peak kW for coal and solar thermal electricity plant to be about the same by 2030 (e.g., Jacobson and Delucci, 2011a, 2011b.) However a coal fired power station averages an output that is about .8 of its peak capacity, whereas for a solar thermal power station the figure is around .2. In other words for each to deliver at a constant 1 kW rate the solar thermal plant would have to be four times as large as one capable of delivering 1 kW at peak insolation, so the capital costs in relation to average or constant energy delivery are not well indicated by the commonly quoted peak ratings. They refer to a peak output which the solar thermal plant achieves only for a small fraction of the time, but coal-fired plant achieves it all the time. The mistake easily made here is to assume that renewable sources can be regarded as additive, when they should be seen as alternative. It is in order to regard Stern’s diagram as indicating the proportions of annual energy supply that (you hope can) come from the various sources, but it is a serious mistake to regard it as indicating the amount of plant and therefore capital cost involved in achieving this contribution to supply. The IPCC discusses integration at some length and its summaries seem to align well with Lenzen’s review (2009, p.19) which confirms the previously generally understood conclusion that wind cannot contribute more than 25%, probably 20% of electricity required Beyond that point integrating this highly variable source into systems which must deliver precise and relatively stable amounts of power continually becomes too difficult. Lenzen believes the limit for PV might be somewhat higher, but this is questionable. A system in which storage enabled PV to continually contribute 30% of annual demand would be generating about 150% of that amount in the middle of a summer day, requiring half its output to be dumped even if all other generating systems are idled, because peak PV output is about 5 times as high as its 24 hr continuous average. What does not seem to be generally recognised is that these integration limits mean that wind plus PV might contribute at best only 55% of electricity, i.e., only 14% of all energy. The Report does not deal with the question of from which sources the other 86% is to come, apart from biomass. (Economies could however be radically restructured to use much more electricity, but this would reduce the proportion intermittent sources could contribute, (as the IPCC notes, Chapter p) and set other significant challenges, most obviously regarding storage. The difficulties in the most commonly given response, hydrogen, are considered below. Again there is discussion of this issue, reviewing (superficially, some) options, but it does not help much in assessing the possibility of a global renewable energy supply system. Such a system would have to rely heavily on very large scale storage of electricity, which is not possible at present and is not foreseen. The report does not contradict this view. The formidable difficulties are recognised briefly (Chapter 8, p. 41), in a sentence which actually says it is questionable whether solutions will be found. Again the seriousness of the issue is not brought out; if very large scale storage of electricity is not possible (or affordable) then it is difficult to imagine how utopian renewable energy scenarios could be achieved. Following are two statements typical of the reassuring tone evident throughout the Report where huge problems are made to look as if answers are around the corner. Obviously again what matters is whether there is reason to think that the improvements will be sufficient. The most promising storage options are subject to critical evaluation in Trainer, 2011, Section, but brief reference to the significant difficulties in solar thermal and hydrogen storage should be made here. Solar thermal systems are planned to have 17 hr storage. If a solar thermal power station was to b e cap able of maintaining supply through four cloudy days it would need 96 hour storage. The IEA says the cost of present solar thermal storage capacity, usually c. 6-7 hours, makes up about 9% of plant cost, so a 96 hr storage capacity would add more than the cost of another 1/5 solar thermal power stations. However the key question here is whether solar thermal heat storage capacity could enable an entire electricity supply system to continue delivering through a four day period of no wind or sun. If wind, PV and solar thermal were each delivering one-third of supply then the storage task for solar thermal would have to correspond to 3×96 hours, multiplied again by the additional capacity to deal with peak demand. In addition solar thermal power blocks would have to be three times normal size, adding to capital costs. Similar formidable multiples lie in wait if storage via hydrogen is envisaged, due to the implications of the low energy efficiency of this path. The future energy efficiencies of a) producing hydrogen from electricity, b) compressing, pumping and distributing it, and c) re-generating electricity via (expensive) fuel cells are, optimistically, .7, .8 and.5, meaning that for each kWh the wind turbines generated this path would deliver .28 kWh for use. (Plausible assumptions could make this less than .2 kWh.) Again the implications for capital cost are significant. In effect the plant cost to generate the electricity needed for 1 KWh to be delivered via hydrogen would be 3.6 times that of the plant needed to supply 1 kWh/y directly. Jacobson and Delucci assume that liquid fuel for aircraft and other uses would be provided via liquid hydrogen. Again due to the energy cost of transforming hydrogen gas into a liquid the energy costs would increase by another 40%, i.e., I kWh of wind would provide less than .18 kWh of energy in liquid form, and we would have to add the embodied energy cost of the plant to do the liquefying, plus that of the pressure tanks (four times as big as for storing the same amount of petrol) and other equipment to keep the liquid hydrogen very cold. In fact if a thorough embodied energy accounting was carried out it would be surprising if storing energy in the form of hydrogen had any net positive energy return. On other words we might end up with as much energy in the form of liquid hydrogen as it took to produce and provide it. Inadequate consideration of embodied energy costs. The report sets out estimated embodied energy cost figures in a table, but does not discuss their status or implications. This field remains to be clarified and confident estimates regarding the amount that should be deducted from gross lifetime energy output do not seem to be possible. The main issue is as Lenzen points out that studies to date typically take into account only the energy cost of fabrication plus materials and do not include the “upstream” energy costs of, for instance producing the steel works that makes the steel. The energy cost of PV modules is commonly taken as c. 3-5% of lifetime output but Lenzen et al. (2006) report that when a thorough accounting is carried out the real cost is actually 30% of lifetime output. (The need for confirmatory studies is evident.) It seems likely that in general 10% should be deduced from renewable energy output to cover this cost. A thorough study would have clarified theissue, but the IPCC does not discuss it. Conclusions on neglected and omitted issues. The Report reviews evidence on several of these issues, without drawing implications for the question of limits to potential. This is especially so regarding wind integration limits where the discussion focuses on the ability to cope with integrating up to 20+% of electricity from wind farms (and there is reference to special cases where the figure is much higher at times, such as Denmark, along with the special conditions making that possible.) However if renewables were to meet high proportion or all of energy demand then penetration by wind would have to be far higher than 20% and whether that could be achieved is not discussed. Embodied energy costs are not discussed. The problem of large gaps in solar and wind energy availability and the associated problem of redundancy is not discussed. Some crucial issues are considered but not in a way that leads to conclusions re the load renewable can carry. Some of these issues are capable of disqualifying renewables from meeting a significant proportion of demand if solutions to them cannot be found. Chapters 2 to 7 and 9 review a great deal of valuable evidence and discussion, including on the nature of technologies and the quantities of energy these “could/might” provide. However the crucial chapters for the purpose of assessing the potential of renewables are 8, “Integration of Renewable Energy into Present and Future Energy Systems” and 10, “Mitigation potential and costs.” The discussion in these is, to put it mildly, quite unsatisfactory, and it is especially difficult to understand why the rationale for Chapter 10 was chosen. The preceding chapters consider the renewable sources separately but what matters is the extent to which they can be combined to meet what proportion of future demand reliably, and at what cost. Chapters 8 and 10 are of little value in answering these questions. Firstly, Chapter 8 does not provide anything like a satisfactory discussion of the overall integration/storage/redundancy problem. It provides considerable evidence on present integration experience, but provides almost no evidence or discussion on what the future limits might be. The importance of this issue and the apparent savage limits have been emphasised above. However the most remarkable feature of the whole report, and its most objectionable aspect, is the focus in Chapter 10 on four selected studies, one of which is very optimistic and is the source of the claim the Report is identified with, i.e., that 80% of world energy in 2050 can come from renewables. It is puzzling why this was done. What is the point of selecting one highly optimistic scenario, not attempting to assess its worth, giving it so much attention, and allowing it to be taken as representing the findings of the entire IPCC WG3 Report re he potential of renewable energy? The crucial point here is that the study in question, the 2008 Energy (R)evolution, by Greenpeace, is, to be as polite as possible, extremely challengeable. (I have written a somewhat detailed critique of it, available at , It is quite similar to this critique of the IPCC Report.) In my view it too fails to deal with several crucial issues, makes implausible and poorly supported or not supported assumptions, and above all simply presents a desired/imagined 2050 scenario which is not derived and not shown to be possible. The report’s conclusions regarding the capital costs of mitigating climate change are also unsatisfactory, highly challengeable and in my view, very misleading. Again the Working Group does not attempt to work out costs but quotes those stated in the four selected studies selected in Chapter 10. In the Summary for Policy Makers a total is briefly given without derivation or discussion, and is apparently taken from Greenpeace. It is said that the most optimistic of the four studies focused on in Chapter 10 is $12.28 trillion between 2010 and 2030. (SPM, pp. 7, 22, 24.) It is stated that this would be for the power sector alone. However the 2008 version of the Greenpeace document does not seem to include any comment on the total capital cost. The 2010 version by Teske et al. does give a figure, but it is $17.9 trillion to 2030, and no derivation or references are given. It is not explained that an investment cost would have to be paid every year into the future, as plant requires constant reconstruction or replacement at about 25 year intervals. 2) Here is another approach. Let us assume that by 2050 business as usual demand has risen to 900 EJ/y primary (the IPCC Summary Chapter shows the average estimate is higher than this, although estimates vary widely), and 630 EJ/y final, and that conservation and efficiency effort cuts this by one-third to 420 EJ/y. By 2050 the Report says (the studies it reviews say) renewables will provide 27% of energy, so the investment cost of $700 billion p.a. is being claimed to provide plant capable of providing 113 EJ/y, or 9.42 EJ/month. Because integration problems limit wind +PV to contributing around 15% of energy demand let us assume for simplicity that solar thermal meets all this demand. Trainer 2011 derives the estimate that in winter at the best Australian location a central receiver solar thermal power station would deliver (at distance and net of embodied energy cost, transmission losses and dry cooling energy cost) about 54 MJ/m2/ month. The anticipated future plant cost derived from NREL (2010) and the review by Hearps and McConnell (2011) is $328/m2. (This is half the present cost.) Therefore to provide 9.42 EJ/month in winter we would need 174 billion square metres of collector, costing $57 trillion, or $2.3 trillion p.a. over a 25 year plant lifetime…to provide 27% of energy demand. 3) Let us assume this time that the final target is again 420 EJ/y, that biomass provides 100 EJ/y of ethanol, 42 EJ/y is low temperature heat, and plus hydro plus the minor renewable add to 25 EJ/y, leaving 257 EJ/y to find. If this is to come equally from wind, PV and solar thermal sources (ignoring integration limits or storage problems) each must supply 7.13 EJ/per month. Wind: Assume a 1.5 MW turbine at .38 capacity in winter, costing $3 million, generating a net 1.49 TJ/month. To generate 3.58 EJ/month we would need 2.4 million turbines, and they would cost $7.2 trillion. PV: Assume 1 square metre at .15 solar-to-electricity efficiency, in 7 kWh/m2 global radiation in winter in Central Australia, generating 115 MJ/m2/month, but delivering only 88 MJ/m2/month at distance net of losses for transmission, embodied energy cost and $3/W for future installed overall plant cost, ($7/W now, Lenzen, 2009), i.e., $450/m2. We would need 33 billion square metres, costing $14.9 trillion. Solar thermal: Assume central receivers at Central Australia where DNI in winter is 5.7 kWh/m2/day, operating at .15 solar-to electrical efficiency, at a future cost of $328/m2 and therefore generating 71 MJ/m2/month, but delivering only 51 MJ/m2/month net of transmission losses, embodied energy costs and dry cooling cost. We would need 74.5 billion square metres of collection space, costing $24.4 trillion. The total cost would be $46.5 trillion, or $1.86 trillion p.a., or 2.7 times the IPCC figure. Note that this would be for the plant needed to meet half world energy demand. However there are several significant cost factors not included in the these three exercises which would multiply the investment cost figures they arrive at several times. Among these are the cost of the hundreds of long distance transmission lines from deserts (where plant would have to be located to enable winter supply), and the operations and management costs. The derivation does not take into account the need for extra plant to meet peak demand, nor the fact that for a whole winter month solar energy can average 40% below the norm for that month. Nor does the exercise deal with the need for extra capacity to store huge amounts of energy to deal with several days in a row without wind or solar radiation. Whatever cost all this comes to, the interest cost on borrowing the capital to build the plant would probably multiply that sum by 1.75. The above exercises are crude but they sketch the kind of quantified approach that is needed to clarify the limits to renewable energy making assumptions and reasoning transparent. Trainer 2010 offers an initial and imperfect attempt to apply this approach to world energy supply, and it is also used in the examination of the limits to solar thermal energy in Trainer, 2011. It is the kind of approach which Chapter 10 of the IPCC report should have included. Unless the assumptions and reasoning in these exercises can be shown to be seriously mistaken it seems that a global renewable energy supply system would be either impossible to achieve or to afford. Even if this conclusion is accepted it would still leave us with a catastrophic greenhouse situation, because emissions would still be far in excess of tolerable limits. The 2007 IPCC Fourth Assessment Report estimated that emissions should be cut by 50 – 80% by 2050, i.e., to c. 5.7 to 13 Gt/y of CO2(e) p.a. We are heading towards a 2050 ‘business as usual” emission level that could be 65 Gt/y. (IPCC, 2011, Ch.1, p. 10), so even a 37% reduction on that would probably leave us emitting around 44 Gt/y, somewhat more than at present. Again the significance of one of the Report’s “findings” is not brought out at all appropriately. What is being revealed here is that even if the most optimistic 2050 scenario for the deployment of renewable energy which the Report refers to could be achieved it would leave us far short of solving the greenhouse problem. Yet the report conveys an air of optimism regarding the capacity of renewables to solve our problems. It should also be kept clearly in mind that the appropriate focus for a discussion of world energy supply is the amount all the world’s people could use. Australians are heading towards a 2050 per capita use of 500-600 GJ/y given current growth rates. If 10 billion people were to live as we would then be living, global energy production would have to be maybe 6,000 EJ/y, twelve times as great as it is now. If the IPCC wants us to feel confident that renewables can provide for us they need to explain how they can provide not the 27% or 50% of 500 EJ/y the report is being taken to claim, but 25-50 times as much. Again as a summary of studies and evidence the report is of considerable value, but even this is jeopardised by the fact that its core is only a report on 164 selected studies. We do not know whether there are other studies which contradict the impression we are forming when reading about the findings the selected studies state on a topic. Again, there have been studies critical of the potential of renewable energy but these do not seem to be referred to anywhere in the Report. This issue of selectivity alone is quite disturbing; what is the value of a large and expensive Report which will be consulted by people wanting to understand what renewable can do when it is only based on selected studies? Normal meta-study practice is obviously to engage experts familiar with the field in reviewing as much of the literature in the field as possible in order to summarise what all accumulated knowledge tells us about the situation, including the diversity of views on it. Chapters 2 – 9 do this re evidence on the specific renewables, but it is not done in the crucial Chapters 8 and 10 which are supposed to deal with what the extent to which renewables can provide for us. Then there is the lack of critical assessment. A valuable report would have attempted to assess claims made, especially in a field where exaggerated and poorly supported claims abound. The 1000 pages contain almost no critical or evaluative commentary, or attempt to judge between claims. Most disturbing is the attention given to the Greenpeace Report. It is puzzling that it was treated as a valuable document, let along as so important and persuasive as to provide the core claim the IPCC Report is seen to be making. Above all the Report does not set out to work out what proportion of 2050 demand renewables can meet. It actually gives very little space to this putting-it all-together question (which should have been dealt clearly and convincingly within Chapters 8 and 10), but just restates the Greenpeace claims. It follows that although the Report is a large and valuable compendium of information, it simply does not throw much or reliable light on the crucial question of the extent to which we are likely to be able to rely on renewables in 2050. It is being regarded as providing strong reassurance but this is not justified. The greenhouse and energy supply problems are of immense importance and it is crucial that the situation and the options available be clearly sorted out. This Report is seriously misleading, reinforcing optimism regarding the potential of renewables to enable continuation of energy-intensive societies, and in reassuring people that there is no need to think about vast and radical structural and cultural change. Finally, if the above criticisms are valid the Report raises concerns about the conduct of science. It is difficult to understand why such an unsatisfactory report has emerged. What we want to know, and what this Report is supposed to clarify (or at least will be taken to have settled), is the extent to which we can run on renewables. But the hundred or so authors have not worked on that question; they have only reported on, and apparently endorsed, what a selection of others have said. They have not critically examined what those others have said in a process intended to determine who’s right. Above all they have been content to allow their Report’s take-home message to come from the transparently problematic Greenpeace Report, without giving it any critical attention. These are not satisfactory scientific ways of proceeding. This critique is not intended to have any implications regarding climate science. It is not to do with the claim (which I accept) that human activity is a significant cause of dangerous global warming. However it does raise concerns regarding the IPCC and its processes. It is greatly to be hoped that the IPCCs conclusions on climate change do not derive from analyses such as those evident in this report. It would be disturbing in the extreme if its climate claims were based on the selection of “scenarios”, relied heavily on one, and carried out no critical examination of their worth. This report on renewables damages the IPCC’s credibility and could be used by agencies with an interest contradicting its climate messages. It is also important to stress that this has not been a rejection of renewable energy. The Simpler Way (Trainer 2010b, 2011) stands for a shift to full reliance on it as soon as possible, and for the claim that we can live well on it…but not in energy-intensive societies. So what’s the solution? The point is that there isn’t one. The argument in Trainer, 2010 and the core theme in The Simpler Way (2011) analyses is that global problems are basically due to the commitment to grossly unsustainable levels of consumption and to limitless economic growth. 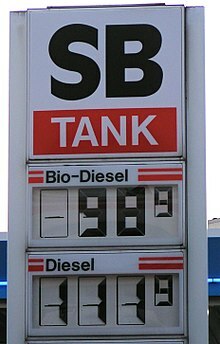 The problems cannot be solved on the supply side, i.e., by trying to provide the quantities of energy that a consumer-capitalist society for 10 billion would require. That kind of society is generating other major problems in addition to energy and climate, including the poverty of billions, the destruction of the ecosystems of the planet, resource conflicts, and deteriorating social cohesion. These problems cannot be solved unless there is vast and radical transition a Simpler Way of some kind. This IPCC WG3 Report reinforces the dominant faith that there is no need to think about this perspective on our global situation. Birol, F., 2003. World energy investment outlook to 2030. IEA, Exploration and Production: The Oil & Gas Review, Volume 2. Czisch, G., (2004), Least-cost European/Transeuropean electricity supply entirely with renewable energies, http://www.iset.uni-kassel.de/abt/w3-w/project/Eur-Transeur-El-Sup. Davey, R., and Coppin, P., 2003. South East Australian Wind Power Study,Wind Energy Research Unit, CSIRO, Canberra, Australia. El Bassam, N., (1998), Energy Plant Species: Their Use and Impact on Environment and Development. London: James & James (Science Publishers) Ltd. 321 pp. Field, C.B., J. E. Campbell, D. B. Lobell, (2007) “Biomass energy; The scale of the potential resource”, Trends in Ecology and Evolution, 13, 2, pp. 65 – 72. Greenpeace International and European Renewable Energy Council, (2010), World Energy (R)evolution; A Sustainable World Energy Outlook. Hansen, J., et al., (2008), “Target atmospheric CO2; Where Should humanity aim?”, The Open Atmospheric Science Journal, 2, 217 – 231. Hayden, H. C., (2004), The Solar Fraud, Pueblo West, Co, Vales Lake Publishing. Jacobson, M. Z. and Delucci, M. A., 2011a. Providing all global energy with wind, water and solar power, Part 1: Technologies, energy resources, quantities and areas of infrastructure, and materials. Energy Policy, 39, 1154 – 1169. Jacobson, M. Z. and Delucci, M. A., 2011b. Providing all global energy with wind, water and solar power, Part 2: Reliability, system and transmission costs, and policies. Energy Policy, 39, 1170 – 1190. Lenzen, M., 2009. Current State of Electricity Generating Technologies. Integrated Sustainability Analysis, The University of Sydney. Meinshausen, M, N. Meinschausen, W. Hare, S. C. B. Raper, K. Frieler, R. Knuitti, D. J. Frame, and M. R. Allen, (2009), “Greenhouse gas emission targets for limiting global warming to 2 degrees C”, Nature, 458, 30th April, 1158 -1162. Metz, B, O. Davidson, H. de Coninch, M. Loos and L. Meyer, (Undated), Carbon Dioxide Capture and Storage, IPCC Special Report, Summary for Policy Makers, Working Group III. Oswald, J.K., Raine, M., and Ashraf-Ball, H.J., (2008), “Will British weather provide reliable electricity?”, Energy Policy, 36, 3202 – 3215. Sharman, H., 2005. Why UK power should not exceed 10 GW. Civil Engineering, 158, Nov., pp. 161 – 169. Smeets, E.M.W., and A.P.C. Faaij, (2007), “Bioenergy potentials from forestry in 2050”, Climatic Change, 81(3-4), pp. 353-390. Soder. L., Hoffman, L., Orfs, A., Holttinnen, H., Wan Y., and Tuiohy, A., 2007. Experience from wind integration in some high penetration areas. IEEE Transactions on Energy Conversion, 22, 4 – 12. Trainer, T., (2007), Renewable Energy Cannot Sustain A Consumer Society, Dordrect, Springer. Trainer, T., 2010b. The Transition to a Sustainable and Just World. Envirobook, Sydney. Vitousec, P, (1986), “Human appropriation of the products of photosynthesis,” Bioscience, 34, 6. World Wildlife Fund, 2010. The Energy Report; 100% Renewable Energy by 2050. WWF International, Switzerland. Zero Carbon Australia, 2010. Zero Carbon Australia Stationary Energy Plan. Melbourne Energy Institute, Melbourne University. The lead author of the Greenpeace report, Sven Teske, an energy campaigner for Greenpeace, was also a lead author of the IPCC Renewable Energy Report. The decision of the IPCC to highlight the Greenpeace report appears to have been driven by Teske, and he seems to have used the vehicle of the IPCC as a platform to deliver the Greenpeace report to a new audience, and with the aura of credibility the IPCC has earned from its previous work. Sadly, that credibility is now undermined, to the detriment of climate campaigners. The IPCC urgently needs to establish conflict of interest protocols and enforce them. And it wouldn’t hurt to do some work on their meta-analysis methodology either. The levelized system cost for coal provided by the US EIA is based on average US domestic coal prices. It’s the equivalent of using the price of gasoline in Saudi Arabia to determine how much it will cost to run a car. Most of the world pays significantly more for coal then the average US price…even much of the US pays significantly more then the average US price. Fuel cost for a coal fired plant in the US ranges from $10/MW to $40/MW. IMHO The starting point for any discussion on energy options should be how much are we going to have to pay no matter what. The IPCC does not as far as I can tell ever take the trouble to publish any of it’s reports in peer reviewed journals. As such I’m not sure we need to take much that they say as being overly authorative. Especially given their close association with the UN and their politicised nature. So by all means read their work but don’t be too astounded if it is sometimes found to be lacking. Very interesting and timely critique, and I agree with the main points. But to nitpick (as I got some comments about these issues when summarising the main points): Dr. Trainer (or someone), could you enlighten us a little bit about how the emission level for 2050 (44 Gt p.a) is calculated? Isn’t 0.63 * 65 Gt p.a ≈ 41 Gt p.a.? And – the summary for policy makers, p. 20, speaks of cumulative emissions between 2010 and 2050, and that the best “illustrative” scenario would achieve cumulative 560 Gt savings from a BAU 1530 Gt cumulative emissions, i.e 37 % reductions. How is this the same thing as reducing annual emissions from 65 Gt to 41 Gt? Agree, though, that as we’re already over the 350 ppm limit, the emissions should be reduced to essentially negative, but a clarification of the relationship between cumulative and annual emissions would be most helpful! BNC no longer posts or discusses denialism of the scientific consensus on AGW/CC or conspiracy theories regarding same.Please check the BNC Comments Policy on the “About” page. The experience with wind power in the PAcific Northwest demonstrates that where wind farms are built CCGTs are sure to follow. It looks to me like the problem here is that the first sentence in the IPCC Press Release distorts what the actual IPCC Special Report on Renewable Energy Sources and Climate Change Mitigation says. I wouldn’t mention McIntyre’s critique. He can’t be the first to actually read something other than the press release. You are critiquing the report. Do that. The Technical Summary does explain on page 140 a bit about how they came up with the 164 studies as opposed to your statement that the report does not explain. I would hesitate before attacking people, such as the “technical people” in the “renewable energy field” you mention, who are motivated by a desire to “gain credit and research funding”, rather than what?. I’m left asking what proof do you have. You are essentially saying you have integrity and they may not. Why do this? This is a standard level of criticism we see deniers level at climate scientists and climate science. People who dispute the scientific basis for LNT are also using stooping to this level. At least provide proof. Where in the report, as opposed to the press release promoting it, is the statement that the authors of the report have decided that 80% of energy could come from renewables? I see so many qualifications in the report I could not say what most think this means. That’s the problem with the press release – it starts out with this claim as if it is what the report found. The report did not find this. You say “the report depends heavily on one of four selected studies”. Back this up. I go to Chapter 10, Mitigation Potential and Costs and find a review of 164 studies, with a closer look at four studies. You seem to be critiquing what people who didn’t read the report got out of the blogosphere or out of the press release, rather than from their reading of the report. The IPCC authors, unless they all signed off on that press release, are not responsible for the fact this report has been misunderstood. Here’s one of the more accessible introductory overviews – this is a video of the “statement of Ottmar Edenhofer, Co-Chair, IPCC WGIII” on the Special Report on Renewable Energy Sources and Climate Change Mitigation webpage on the IPCC site. Basically, he says “we intend to explore” how renewable energy (RE) can contribute to mitigation of climate change, and provide “policy relevant” advice “without being policy prescriptive”. He emphasized: “renewables are not the only option” and stated that they concluded: “without dedicated national energy policies we will not see an increasing deployment of renewables”. He doesn’t say the report says renewables can replace fossil energy affordably without significant social change. An examination of The Summary for Policy Makers confirms what Edenhofer said in the above video. Gerbils on treadmills hooked up to generators “can” supply world energy needs, if all relevant limiting factors are ignored or assumed away…. So can RE. The authors of this report seem to be aware of this. The Technical Summary page 140, contains an explanation of how they came up with the 164 studies. They say it was an “open call”, they say “they must be interpreted carefully”, they point out “there is enormous variation” in them, they say “the scenarios do not represent a random sample of possible scenarios that could be used for formal uncertainty analysis”, but, “despite the variation, the absolute magnitude of RE deployment” is “dramatically higher” than today “in most” of them. The Technical Summary, on page 143 and 144, is clear about what will ultimately constrain RE deployment: “energy demand growth and the competition with other options to reduce CO2 emissions (primarily nuclear energy and fossil energy with CCS)” Noting that: “The cost, performance and availability of the competing supply side options—nuclear energy and fossil energy with CCS—is also uncertain”, and that factors other than cost can affect nuclear and carbon capture: “If the option to deploy these other supply-side mitigation technologies is constrained—because of cost and performance, but also potentially due to environmental, social or national security barriers—then, all things being equal, RE deployment levels will be higher” which sounds reasonable. By the way that first sentence of the Press Release says this: “Close to 80 percent of the world‘s energy supply could be met by renewables by mid-century if backed by the right enabling public policies a new report shows”. I agree, that first sentence in the press release isn’t something the IPCC should be saying. renewables cut this by 75% by 2050 we would still have around 50 Gt/y of emissions, far more than the present amount. In 2007 the IPCC 4AR said emissions must be cut to between about 6 and 13 Gt/y. 75% of 65 is 48.75. So around 50 Gt/y would be CUT, leaving around 15 Gt/y, not 50. Such statements are true but misleading but[should be “because” or “since”] they do not make it clear that these are extremely big and difficult problems for which there are not foreseeable solutions and which will probably prevent renewables making a large contribution. The mistake easily made here is to assume that renewable sources can be regarded as additive when they should be seen as alternative. [“It is one thing to view”… instead of “it is in order to regard…] Stern‟s diagram as indicating the proportions of annual energy supply that (you hope can) come from the various sources, but it is a[nother thing altogether] to regard it as indicating the amount of plant and therefore capital cost involved in achieving this contribution to supply. Dr Trainer has done a creditable job of debunking this report.The IPCC has damaged its reputation by putting its imprimatur on such nonsense. It is questionable whether this sensible essay by Dr Trainer will have any effect on the commited (pejorative deleted) in the renewable and anti-nuclear movements.However it could have an effect on the decision makers and the general public if it is disseminated widely enough. I support Dr Trainer in his view that we are going to have to change drastically our social,cultural and economic attitudes in order to fully realize sustainable human habitation of Earth.If we don’t change voluntarily the change will be forced on us and that will be very,very painful. There are 2 major and urgent problems – population and nonpolluting energy.There are 2 solutions – a disorderly and catastrophic Malthusian depopulation enabling the necessary change among the survivors or a comparatively orderly power down using nuclear as one of the most effective tools on the energy front. This is not the forum to discuss in detail the population issue. I do hope that the second road is taken but I have been around long enough to have a clear idea of the depths of stupidity,ignorance and arrogance which Homo Saps can sink to. The IPCC renewable energy report is blatant greenwashing, that much is clear. Enough said on that. Sustainability on a planet with 10 billion people can only be achieved by making energy cheap and suberabundant. Economic growth is the means to mitigate both population growth and environmental destruction. There’s nothing inherently wrong with capitalism… but tough regulations are absolutely necessary to promote healthy competition and innovation, and also to protect the environment. Free markets must be fair markets, not free-for-all monstrosities where competition is squelched. The solution does not and will not ever include changing human nature or the nature of human society. “The Simpler Way” is a pipe dream. The only way forward is onward and upward; better technology and an unlimited energy supply, not economic stagnation. Therefore I promulgate “the middle way”. seamus,yours is not “the middle way”.It is the Growth At any Cost way and is surely destined to fail with catastrophic results. In case you haven’t noticed we live in a finite system where infinite growth is not possible. Try reading some history and you will see that human society and human nature have changed significantly over recorded history.Saying that can’t be so is denying that humans (or any other lifeform) can’t adapt.Perhaps you need to brush up on evolution as well. A fundamentally no growth,declining population society and economic system is not stagnation.Achievements in science,the arts,education and other real measures of progress are not measured quantitively but qualitively. I suggest you make a sincere effort to escape from your tiny growthist box and start thinking about real sustainability and real and worthwhile values. I agree with you, Podargus, that growth at any cost is no good. The problem is how to make the case without falling back on deep philosophical premises that leave reality behind: which is what happens in the libertarian versus anti consumerism type arguments. No growth does not necessarily mean stagnation and I have a hard time comprehending how profit maximization imperatives can be compatible with sustainability in any real sense. But if something like a steady state economy is achievable, many economies would need to grow even with massive changes in distribution of wealth and power. I think in fact capitalism has a built in tendency towards hype, a tendency that leaves reality behind. We see it in green hype about not just renewables but efficiency. Isn’t Europe’s plan not just for exponential growth but exponential efficiency gains? This coupling of growth and energy reduction year after year blows my mind. Perhaps I indeed am missing something, yet whole continents just trot out exponential reductions in energy use like it’s a snap. Excellent contribution to the debate we need to have Ted. As William Blake once said “Without vision the people perish”. The main thing missing today is a vision for a new way of life into which things like an energy revolution has its proper place. I find it strange that you can accept the anti-renewable part of Ted’s work however can still completely reject the conclusion. I on the other hand completely agree with Ted’s conclusion. I don’t fully agree with some of his arguments however as I have said many times in the past I believe our current society is unsustainable and no magic energy source will solve our problems. Ted’s conclusion is supported by peer reviewed science in the work of Meadows et al and Donella Meadow’s et al in their population studies popularised in the books Limits to Growth” and Limits to Growth – the Thirty Year Update. A recent study by Graham Turner of the CSIRO found that many of the key indicators from the original study were tracking quite close to reality. In fact the scenario in “Limits to Growth – the Thirty Year Update” that describes a society that does not overshoot and collapse bears a striking resemblance to Ted’s “Simpler Way”. I don’t understand how you can accept the anti-renewable part without making the very obvious leap that Ted is actually talking about ANY miracle energy source that claims to answer all the world’s problems not just cherry-pick the part about renewables that agrees with your point of view. I don’t understand how you can accept the anti-renewable part without making the very obvious leap that Ted is actually talking about ANY miracle energy source that claims to answer all the world’s problems not just cherry-pick the part about renewables that agrees with your point of view. Err, Ender, the entire critique is reproduced here, so I don’t see what’s been cherry picked. Who has claimed that any energy source is the answer to all the world’s problems on BNC? I’ve certainly never read anything Professor Brook has said along these lines. And this critique is NOT “anti-renewables” – it highlights renewable limits, and the flawed 2011 IPCC WG3 report. No where does it say anything like “don’t build these things” or “they should be banned”. “The Simpler Way” is almost certainly not going to fix the climate problem (even Trainer has acknowledged it is unlikely to eventuate, from memory). Population is going to continue to grow for some time yet, and energy consumption is going to increase. Social change happens slowly. In the mean time, we can either provide increased energy demand with fossil fuels, or with nuclear (and some renewables). It’s that simple. Frankly, (and I don’t usually like to speculate on people’s motives) the way you cast aspersions here (e.g. false claims of “anti-renewable”, “nuclear will fix all” and “consumption can grow forever” statements) makes me question your integrity on this issue. Of course, you can prove me wrong in the future by desisting with these untrue arguments against people here, and arguing honestly. By the way, I highly recommend Mark Lynas’s latest book “The God Species” to you, for some more thoughts along these lines. Good comment Gregory and there is nothing I can add to it except in relation to your last sentence. In human affairs there is always the herd and the leaders of the herd. Fortunately for humanity there are always a few individuals who prefer to roam the savannah at a distance from the herd and take their chances with the predators because they think that the herd is heading in the wrong direction. Maybe those individuals aren’t always 100% correct but,because they are reasoning for themselves rather than blindly following,they are always worth listening to. Tom Keen,no need to get bitchy with Ender.He has made some good points even if they do not conform with your outlook. I find your fatalism re population growth and increase in energy consuption to be counter productive but quite common,unfortunately. See my comments about the herd above. I wonder why you make the distinction, particularly in light of the IAC Report that looked at those same processes and procedures and found political interference, conflict of interest, bias, poor treatment of uncertainty and poor management. This site seems to summarise the issues quite well. My only comment in this is that the critical of renewables analysis is presented however the conclusion is dismissed out of hand. It tends to distort renewable limits and presents renewables in the worst possible light. There is no way you could consider this analysis as pro-renewable. Analysis like the BZE 2020 plan that is pro-renewable tend to analyse the limits of renewables and present plans to mitigate these limits rather than just presenting the worst. This is simply not true. 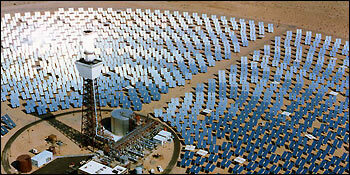 Just about all solar thermal power plants use supplemental fuel for this. The recently commissioned Gemsolar plant has 15 hours of storage and expects a 15% fuel burn. The BZE 2020 plan specifically mentions biomass supplemental fuel and as it is included in the reference it is perplexing why Prof Trainer did not include this. You can see there is a pocket in WA where the average sun hours per day is higher than most of central Australia and small areas in NSW that have as good insolation. This reduces the transmission line length and losses. Prof Trainer also sizes his system on Winter DNI rather than modelling the output over the whole year and balancing system size, storage and supplemental fuel burn for an optimum cost that the more comprehensive BZE 2020 plan did. He also uses EIA 2016 projections for cost where this projection is the highest cost that is available for solar thermal. Several of his referenced papers have much lower costs. For these sort of reasons I read this critique as anti-renewable. I assume ‘supplemental fuel burn’ doesn’t include unirrigated biomass in Central Australia. The local gas basin (Amadeus) is near exhausted. Podargus, population growth (as with perpetual economic growth systems) needs to stop as soon as possible – for the sake of the planet and much of life on it. This is a problem of epic proportions. But most analyses put population growth at substantially more than 9 billion people by 2050. The idea that we’re going to stop radical climate change through population measures is fantasy. And the inevitable associated increase in energy consumption isn’t the issue – unless we burn fossil fuels to derive that energy. I see this as no different to comments you’ve made to Geoff Russell (for example) re. the chances of Australian’s reducing their meat consumption (and I see over consumption of live stock as a food source as a much larger problem than increased energy use from non-fossil sources). If The Simpler Way is the only way to solve climate change we may as well admit defeat. Luckily, I think we have other options to avoid the worst of climate change. Of course, some behavioural change will also be necessary to fully solve the problem, and to solve many of the world’s other problems. @ Ender – perhaps try considering the critique as “technically flawed” if you are going to critique it. “Anti” is an unsubstantiated accusation. It is often assumed that the difficulties set by renewables means that nuclear energy must be adopted. Chapter 9 of Trainer 2007 presents several reasons why nuclear reactors (burners; on breeders see below) cannot solve the general energy problem, if only because there is likely to be far too little fuel. If reactors were to provide 9 billion people with the present Australian per capita electricity use nuclear generating capacity would have to be around 40 times as large as it is now, (and Australian electricity demand might double by 2050). The commonly stated 3 – 4 million tonne estimated Uranium resource figure (Leeuwin and Smith, 2005, Zittel, 2006) would last about 2 years. Lenzen says current fuel use would last 85 years. (2009, p. 50.) So nuclear energy cannot make a significant difference to the global energy situation, (unless fusion or breeder technology is assumed.) Taking the highest speculative estimates (c. 13 million tonnes) and adding thorium would not alter the outlook significantly. There are large quantities of Uranium in very low grade sources such as sea water and crustal rock, but Leeuwin and Smith argue that the energy cost of retrieval would be greater than the energy required to do this. Even more important than fuel scarcity might be the scarcity of the many non-abundant metals needed in reactor construction. A world providing rich country levels of energy consumption to 9 billion would have perhaps15 000 power stations. It is sometimes claimed that the use of breeder reactors would make possible inexhaustible quantities of energy, especially as the fourth generation Integral Fast Breeder could use low grade ores, existing spent fuel waste, and bomb-grade Plutonium. I can’t assess the plausibility of this general claim but following are some of the issues on which we would need clear and convincing information. a) How much fuel would be available from low grade ores when the energy cost of mining and processing was taken into account. According to Leeuwin and Smith this would rule out use of crustal rock and sea water. If this is so then the energy return from processing the next higher grade resource category would also be low, etc. So we would need to see analysis of the whole spectrum of ore grades along with the associated retrieval energy costs. b) What is the energy cost of plant, including the IFR, the mining and fuel production, etc equipment, and plant for decommissioning, and for dealing with wastes. The ER for burners has been estimated at a mere 4.5, not including fuel production, decommissioning or waste treatment. d) What limits are set by the difficulty of separating the newly bred fuel from the contaminants in spent Uranium coming out of a breeder? bred to start up a new reactor. Blees says 7 years. How long then would it take to start up the many reactors that a nuclear world would require? given that advocates of the IFBR see it as providing abundant world energy, and therefore involving large numbers of technicians in all countries. It seems likely that before long someone somewhere would make a mistake that would devastate large area permanently. The history of reprocessing, e.g., at Sellafield, has already been a serious concern and the scale envisaged would be much greater. production, terrorism etc?. Blees says terrorists would not try because it would be much easier for them to tap other sources than IFBRs, but that does not mean they are not a source and a danger. i) What are the decommissioning and waste storage implications; more complex than for burners? j) What scale are we dealing with? Let us take an unrealistic upper limit. If 9 billion people were to have the per capita energy consumption Australians seem to be heading for by 2050, perhaps 500 GJ, all from reactors, then the world would be consuming 4500 EJ/y, around 8 times present world energy consumption. This is at least 460 times the present amount of electricity generated by reactors. It would be equivalent to about 250,000 1000 MW reactors operating at .8 capacity, and to cope with peak demand we’d need to have more than 3,300 reactors built and in use or ready to use. The need to convert electricity to meet demand for non-electrical energy (e.g., aircraft) would increase this primary generating task further. Much more significant would be the greatly increased need for energy to provide minerals from very poor ores, grow food in greenhouses, deal with ecological impacts of so many on high living standards, etc. Thus the scale of all the above problems would be very great if nuclear energy was to be the main energy source for a world in which all enjoyed the “livings standards” we expect in coming decades. The sheer heat release from the energy generation and use might be intolerable in terms of geophysics, i.e, might produce unacceptable global heating. The problem is not so much population however more the idea that all of them could be consuming resources at the rate that rich western countries do. The idea that we can just use an unlimited supply of energy to bring 9 billion people up to the same living standard as an Australian for instance seems to Ted Trainer completely impossible. 9 billion people consuming and polluting at our rate would require another couple of planets which we do not have. Just look at the resource global footprint site. 9 billion people consuming at our rate, in the way we consume, would be impossible, and a disaster to try it. But it depends a lot on what is consumed, and the way things are used. Consumption of mined resources, for example, pales in significance to consumption of biological resources (yes, “biological resources” sounds very anthropocentric, I know). Furthermore, the majority of our problems really seem to stem from how we feed ourselves, and how much we waste. See this for example, and think about what most land is cleared for, and why the nitrogen cycle is haywire. I’ll say it again: If The Simpler Way is the only way to solve climate change we may as well admit defeat. It amazes me that Ted relies on Leeuwin and Smith in his discussion of uranium resources and life cycle analysis. What is the justification, given all the criticism of this position and its clear outlier status? I don’t agree with everything Lynas says. What explains, Tom, the rate of fossil fuel burning and the difficulty of switching to alternatives? Hypesters love to praise capitalism’s innovative drive, yet we see very little of this drive when it comes to energy infrastructure. Perhaps there are contradictory drives at work. Energy is stored as rest mass in the nucleus of atoms. The volume of the nucleus is only about one millionth of one billionth of the volume of the atom. Mankind must find a safe way to use the energy stored in the nucleus as rest mass because of repulsive forces between neutrons . Earth’s heat source is not a stable H-fusion reactor , and we must abandon the illusion that H-fusion will solve our future energy. Why do we try to make this issue seem complex when it is actually simple? If renewable energy sources are cost effective on a long term basis they will be adopted, if they are not they will be abandoned. It REALLY is that simple. Companies earn revenue by providing electricity to consumers. They (the electricity providers and the ultimate consumers) do not really care the source of that electricity (with the exception of a small number of people will to pay a higher price to get their power from specific sources that are not the lowest cost), they only want the lowest cost electricity. If wind mills were cost effective there would be lots more wind mills—they are not cost effective in producing electricity due to various reasons. There is no grand conspiracy preventing the adoption of renewable power sources. The truth is they are simply not cost effective yet. If society wants to motivate adoption of alternate energy production the simple method is to tax the current form of production. That will stimulate alternate forms of production. The problem with taking that approach is that the “tax” hurts those in the worst position economically in our society. If you give “tax relief” to the poorer members of society from this “fuel tax” the motive for the reduced consumption is reduced proportionally. What explains the rate of fossil fuel burning and the difficulty of switching to alternatives? The inflation adjusted price of coal and oil actually declined between 1980 and 2000. The Chinese were exporting steam coal at a price of $27/mt as recently as 2002. The Chinese are currently importing steam coal at a price above $100/mt. The coal fired plants going online today in China are not based on the economic facts that exist today. They are based on the facts that existed 5 or 10 years ago. 10 years ago coal was cheap and getting cheaper. There is nothing that hazardous about so-called spent nuclear feul reprosessing; one should look into existing operations before drawing conclusions about the hazards. France was the first, I believe, to begin reprocessing. Consider what is known about the operational history of the Le Havre plant. I’m not sure Gregory why you come down on an anti-growth side. There are lots of ways to develop the productive forces, the anarchistic ‘free market’ approach (which, as we know, is really not free at all, but highly monopolistic) and varying forms of highly regulated and collectivist forms in the form of planning. The bottom line, even in it’s most simplest form, such as George Monibot (no socialist that I’m aware of) pointed out that for the UK to get off of fossil fuels…both generation and transportation, we would need 50% MORE energy. In bringing the billions of humans in the developing world, it is means “GROWTH”, and there is simply no way around this…at all. One needs to develop production of basic goods and services to do this. This means, simply: more. More of everything. So how do we make this square with the IPCC renewable report? I don’t think it does. Since every bit of development, even the “kindest, nicest” way, is going to at least require more energy and it’s clear from this report that this isn’t going to happen with renewables, nor with the green inspired de-growth movement (which I consider reactionary in the most literal sense of the term). Only nuclear can be scaled upward to *cleanly* expand energy usage (‘cuz we need more, not less energy). I was intending to retire to observer status in this thread but I can’t leave your Geoff Russell reference go unanswered. Geoff has an ideological bias against meat production and consumption.That is his right but when he links that industry to significant greenhouse gas emissions he is drawing a red herring across the trail of the fossil fuel industry,particularly coal. I am not a supporter of the Australian meat industry per se and I have no skin in the game.I could describe at great length the environmental damage I have seen over many years caused by the pastoral industry.The ethical and economic problems caused by certain practices (like live exports,feed lots etc) are also of concern. However,the emissions from livestock are not of sufficient quantity compared to emissions from burning coal for electricity generation in my opinion to warrant the creation of all sorts of angst in producers and consumers by taking action against them.This would be a needless diversion from the real problems and we already have enough diversions from the climate change deniers,renewable enthusiasts,anti nuclear fanatics etc etc. As I have stated in this thread,I believe we need to power down as part of our response to unavoidable changes in our circumstances.It is likely that the meat industry would be part of this process.But this is a much longer term project than the immediate necessity to drastically cut carbon emissions. Let’s get the priorities right. Tom Keen,on 10 August 2011 at 5;57 PM — I don’t agree. The world as a whole needs to serious power up with nuclear power providing the great majority of it. David Walters,here I go breaking my good intentions again. Yes,we do need more energy not less in the shorter term.Hopefully from nuclear,not coal,gas or time and resource wasting renewables. However,in the light of other serious problems,especially regarding population and resource scarcity we will scale back our energy needs. I regard this as inevitable and I hope it is a relatively orderly process not a catastrophic one. The Growth At Any Cost mindset has to change for the better otherwise the latter road will be the one we take. I noticed earlier on the thread that BNC no longer posts or discusses denialism of the scientific consensus on AGW/CC or conspiracy theories regarding same. however this thread seems to be comfortable with discussion of some aspects of the processes and procedures of the IPCC. Recently I had reason to discuss a slightly different scenario with a lawyer friend but his advice might be relevant to some degree as this would seem to be a site run by an expert which attracts much expert contribution. is their competence which should be attacked. So instead of saying XXXXX you say it was incompetent not to have referred to the IAC report. This is a website for people who are concerned about climate change, first and foremost. It is not set up to pander to any other subset, and if you don’t care about solving climate change (or at the very least if you’re not neutral on the matter), then BNC is not the website for you. If you are pro-nuclear but consider climate change to be some alarmist conspiracy, then you are welcome to frequent other energy blogs that are populated by denialists – there are plenty of them. Go ahead, it’s a free internet. Otherwise, stay, enjoy, contribute, and follow the commenting rules. Basically no comments sceptical of the consensus science on climate change will henceforth be posted or discussed on BNC. It is up to you to decide if you can comply with this new policy. Your climate change scepticism remains your business. If you accept that limitation you are welcome to comment on proposed energy solutions discussed on BNC.. This (new policy) reflects the changed nature of the BNC blog (an evolving digital entity), and the limits of my patience in trying too hard to be all things to all people (an impossible and frustrating mission). So, to be clear, the working context in which BNC is embedded is that climate change is a critical problem to solve. The motivation for the blog (henceforth) is to seek the most effective solutions and discuss the pros/cons. If you are a climate change sceptic (or whatever), you are welcome to comment on the relative veracity of the proposed solutions (or even argue that none of them are suitable, if you can put a coherent case). But this is not the place to debate the whole “Is it? Isn’t it? … happening “space. We’ve moved on from that. If such dialogue entertains you, then there are plenty of other places on the ‘net to engage in this ‘repartee’ to your heart’s content. BNC is now principally a place to discuss the options for moving away from fossil fuels, and when there are posts on climate change, they will be about updates to the science. Such are the choices that must always be made in such intellectual ventures – what to focus on, and what to put aside? If a certain percentage of the audience is turned away by this policy, then so be it. Dry rock geothermal hasn’t added a watt of electricity to the grid. The 1973 built hydro cannot be replicated. Juxtaposing rooftop PV with a forest of high voltage pylons seems a bit of stretch. In another ad people who live near a wind farm say how happy they are; what about those who are not happy? Perhaps the biggest porky of all is that none of this is due to carbon tax but to subsidies, quotas and history. Any CO2 savings will come from demand changes, not changes to generation technology. Therefore the basic premise of the ads, that renewables significantly displace CO2, is false. The ads should really show people turning off domestic appliances, a less romantic image than outback drilling rigs. Hopefully by mid 2013 or so we’ll know whether it made any difference. Evidence suggests (Jevon’s paradox) that increases in efficiency do not lead to decreases in energy use (they lead to higher standards of living). Those urging a ‘simpler way’ or who admire the low energy use of a country like India are condemning billions to desperate living conditions that they themselves would not tolerate for an instant. Thankfully the leaders of India and China do not subscribe to this nonsense. The world needs incredibly more energy (particularly in the form of electricity) to raise those billions out of poverty. The only practical way to do that without environmental devastation is nuclear. We need 10,000 (15,000?) 1GW stations. Then most of the people of the world will be able to afford the luxury of expressing their opinions on their favorite web blog, as we are. SteveK9, on 11 August 2011 at 9:35 AM — Well stated. Sorry Tom Mark Lynas has it completely and totally wrong. What does he think we burn coal and oil for????? Air freshener???? The ONLY reason our society exists at the technological level that it does is because of the energy contained in fossil fuels. The consumption bubble of the last 100 years or so is a fossil fuelled binge that will last as long we can get virtually free energy from stored sunlight or we pollute the Earth sinks and consume the Earths resources at a rate beyond which they are replaced for too long. Already key fossil water supplies are at breaking point indicating that the resources are breaking down and we are in overshoot. Replacing coal with nuclear will only change the CO2 emissions not the problem in the first place. Fossil fuels allows or enables overconsumption and we by all major indications on overshoot. Ok lets for a minute assume that this is possible and we determine that in 2040 we will need 10 000 reactors and we mobilise the world to build them and we agree growth is good that it brings people out of poverty. So by 2040 we have brought say 2 billion up to Western living standards and still have a few billion to go plus all the people born. We all agree that 5% per year is enough growth to accomplish this. So in 2040 we will need 10 000 reactors to satisfy demand. 5% growth means that, unless drastic measures are made to increase efficiency and reduce waste, consumption will also increase at 5% per year at a minimum. Mind you we eat a LOT more, and consume a LOT more than the average poor person so the increase in consumption may be greater. At 5% growth in 2054, 14 years later (70/5), we will need 20 000 reactors in addition to the 10 000 we have already built to satisfy the doubling in demand. 14 years later we will need 40 000 more reactors for a total of 70 000 reactors that have to be built by 2068 which is 57 years away. Remember also that the new people at our standard of living will also be consuming much more and polluting a lot more so we will need double the amount of water, minerals and waste dumps etc that we can exploit. So at which point do you think something will break down building the required 70 000 reactors plus all the transmission lines etc required? In the critique above, Ted Trainer paints a world which would consume 4500 EJ/a, (143,000 GW, or 16 kW/cap ), to be supplied by 250,000 1 GW NPPs. No problem, there’s plenty of U and Th, and 40 years to build them. I should point out, RE would require far more transmission lines to feed the equivalent power from wind (etc) collectors spread throughout the world’s interiors to its consumers along its rivers and coasts. NPPs can be placed where their consumers are. What is going to break down, before either event, is the climate in which we and our systems evolved. No problem????? Do you really think that it is possible to build 250 000 nuclear reactors in 40 years plus the required transmission lines? And then a few years later build 500 000 to cope with the growth when demand doubles again? Yes renewables would take more transmission lines however that is not the problem. Ted Trainer in the critique above presents the problem of coping with unrestrained growth as impossible whatever technology we attempt to apply. I really think that is the take home point not quibbling about which technology is more impossible than the other. The 250,000 nuclear reactor in 40 years figure is a hypothetical fantasy, unless perhaps you are talking about tiny factory-built 35 MWe modules. My estimate of the required number is about 7,200 GWe by 2060, as detailed here. I agree however I was just quoting what Roger posted. However 7200 reactors by 2060 is still a huge ask. Additionally then you would need, assuming 5% growth, 14 400 reactors in 2074. Slowing growth to 2% per year means that you would need the 14 400 reactors by 2095, 35 years later. At what point do you think that growth is unsustainable bearing in mind in 2060 we will be using double the amount of resources we are now consuming and 2095 it will double again with just 2% growth. in which he points out that further down in the press release the significance of the study mentioned in the first sentence is explained. The assumptions of this one study you say the whole report depends “heavily” on are: zero nuclear power globally (a global phaseout by 2045), no carbon capture is ever deployed, and a “comprehensive energy efficiency strategy across all sectors” is simultaneously deployed. The population wakes up enough to decide it must engage in an all out effort to stop using fossil fuels, but not enough to reconsider its perception of the risks of nuclear, and not enough to ask itself why it doesn’t take a look a carbon capture. If population growth has not levelled by about 2060 (at 9 to 10 billion), and large-scale recycling of metals etc. is not being undertaken, we will obviously be in trouble. It will also clearly be self-correcting. In general, I see no hard limits on economic growth, but it depends very much on how it is defined. Is it growth in knowledge? Cyberspace? Outer space? Available energy? Food production in energy-intensive greenhouses? etc. There are many factors to consider. Barry,what makes you think that Earth can support 9 to 10 billion people? We are already in big trouble with 7 billion. And what makes you think that the problem will be self correcting? As you should know,animal populations which expand to beyond the carrying capacity of their range will crash.If that is what you mean then that is what is described by Malthus in regard to humans.In that sense the problem is self correcting. And you see no hard limits on economic growth with the rider of definition of growth. I’m sorry,but limitless growth,no matter how defined, is simply not possible and if we continue on our present path we will find that to be a self evident principle in a very hard way. I despair when I hear this attitude expressed by anybody,no matter how ignorant or immersed in self interest they are. When that attitude is expressed by a scientist I am astonished,to put it politely. Podargus, population crashes are only one form of self correction. Recessions, or simple curtailment of growth due to supply constraints, are another, speaking economically. The economy will grow by as much as it is able to grow (and no more) – we have to ensure it does so in a sustainable way. We are only in trouble at 7 billion because we are not managing and designing systems like energy production, agriculture etc. as sustainable systems. It doesn’t mean it can’t (or shouldn’t) be done. Your attitude on growth, and what constitutes it, is too limited. No wonder you are astonished. I am not speaking from ignorance or self interest on this matter. I don’t share your pessimism that if the world uses more energy we will use it to destroy planet (though of course that is a possibility). Science, technology, logic, and a well educated society (i.e. one that doesn’t reproduce flat out) means we can overcome this type of thinking. Be real. The developing world is not going to decrease (or keep static) their current level of energy consumption. That would mean perpetuated poverty for them. If you think we can only overcome overconsumption by using less energy, you are simply proposing a solution that does not and will not work. There are other strategies, and taking massive pressure off of the biosphere and eliminating the use of fossil fuels are urgent issues that won’t be solved via wishful thinking. It is not only population growth that is the problem. As people’s wealth increases so does their consumption. Large scale recycling of metals takes energy which adds to the amount of energy required which then requires more resources. This has been modelled extensively. The population models used are at least as dependable as climate modelling. Even with unlimited energy and perfect recycling the models show overshoot and collapse. Look at the base scenario in “Limits to Growth – the Thirty Year Update” where precisely these conditions are modelled. How it is defined? Food production in energy intensive greenhouses adds to energy problem and still requires water and creates more pollution that has to be cleaned up. You have now added recycling and food production to your energy requirements. Are you proposing to add desalination to the budget? How many more reactors will be required for this extra demand. I think that to post the ‘technically flawed’ analysis of renewables and ignore his equally, I am sure most pro-nuclear people would agree, ‘technically flawed’ analysis of nuclear power and his simpler way conclusion is a bit disingenuous. Society really needs to start thinking about growth and its implications rather that sticking our heads in the sand and assuming all will be well. Ted’s simpler way may not be your cup of tea however it is closer to the peer reviewed science than unlimited growth forever. Well said Barry, by the way. We are only in trouble at 7 billion because we are not managing and designing systems like energy production, agriculture etc. as sustainable systems. I assume your comment was directed at Podargus, not me? Be real? No they are not so the aquifers that feed their populations will continue to deplete and the land the food is grown on will continue to shrink. Are you being real about these problems? I don’t think we can overcome overconsumption by using less energy we have to make drastic changes to all our consumption levels not just energy. Did you read Ted’s Simpler Way – he is not just advocating less energy but a change. 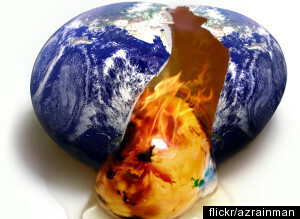 Eliminating fossil fuels will only eliminate CO2 which will help but it does nothing about the other problems we face. I agree with Barry vis-a-vis Podargus’ obvious ‘slow growth/de-growth’ approach. No one here supports “growth by any means”. Most of us support “growth by planning” (in some form) and seeing that it meets human, and planetary, needs. The point, I think, that unless we *have growth* the conditions will obviously get worse. A lot worse. Growth doesn’t mean turning everyone into a middle-class lifestyle like exists in the suburbs of Sydney or New York. It means a planned higher develop of our physical economy in a way that is both efficient, mindful of environmental and sensitive to social issues. The scarcity of energy resources will lead to more *war* and forms of barbarism we are seeing crop up in parts of Africa. So our side should focus on clean energy production and to increase, generally, a sound, but increasing use of, energy world wide to help alleviate the problems of development. If we don’t do this; if we don’t provide the nuclear energy from advanced reactors, all issues of population pressures on resources are moot. Your comment is off-topic. Please re-post on the Open Thread. Bnc does not have the facility to switch your comment. In future please ensure you are on topic and posting in the correct thread. As per BNC policy, please supply a link to your critique so others here may evaluate and comment. David: I’m for rational planning of energy use. that will involve growth in energy use in some places and not necessarily in others. The IMPERATIVE to expand energy use and do it chaotically is what I oppose and this seems to me to have something to do with laws of capital accumulation. so I don’t think we disagree, or not very much, in essence. A further shortcoming of the IPSS/Greenpeace report is the failure to discuss Energy Return On Energy Invested. EROEI is very poor for renewables (and getting worse for fossil fuels). I do not have verified citation available from a reliable sources(s) readily at hand, but is often stated as 4:1 or 3:1 for PV alone (without storage). With short-term (12 hr) storage it may be near zero, or perhaps negative with any multi-day capacity. The energy required for build out of ‘renewables’ will be enormous, for marginal benefit. Furthermore, much of the energy invested must be in a highly concentrated and constant form, e.g. for smelting, casting and forging metals, rare earths, silicone, etc. Quite the opposite of the energy provided by ‘renewables’. A perfect match to nuclear energy. Given the area required, the embedded energy and resources in the ‘renewable-energy’ infrastructure, distributed grid, etc. a new terminology should be used instead of ‘renewable’. ‘Wasteful’ comes to mind :-), but seriously, the vocabulary we use does have significant impact on acceptance of the message. What is it about exponential growth that is so hard for you to comprehend? What is it about sheer numbers of Homo Saps which is so attractive to you? Have you stopped to consider that,if we had not behaved like a mob of randy rabbits over the past 100 years,what the world would look like now? Even with half the present population I doubt if the present critical problems of energy and climate change which concern this site would be anywhere near the proportions they are now. If you stop to think about it,on your rush to apply bandaid solutions,you will see that excessive population is the root cause of many of our environmental,social,energy and economic problems. Experiments with other animal species have proven that overcrowding results in dysfunctional behaviour.We are now conducting this same experiment on ourselves and,given the human propensity and technical ability for self destruction,the results of the experiment will not be pretty and no one will be able to isolate themselves from that result. Barry,you have stated on many occasions that you are an optimist.I suspect that you are confusing a sunny and equable disposition (which is to be applauded) with mindless optimism. Mindless optimism is dangerous,and not only to the optimist. What is needed,particularly in our leadership,is mindful realism. This not to say that some of the solutions proposed on this site don’t have a place in the amelioration of our circumstances.But never lose sight of the fact that we have,by sheer weight of numbers,placed an intolerable burden on our only home,planet Earth. This document has been regarded as confirming the widespread belief that renewable energy can replace fossil fuels and more or less meet world energy demand by 2050. After looking over the summary for policy makers, press release, and Ch. 10 of the full report, it seems pretty clear to me that this is NOT one of the major takeaways from the report. The report looks at the rapid adoption of RE technologies over the recent period, but seems to conclude that there are a number of important factors and impediments to taking this rapid development further. Chapter 10 looks at reference scenarios in 164 studies, and selects four as an heuristic (ranging from 17% primary energy supply to 77% for RE technologies by 2050). By means of this methodology, it identifies what are recognized in the literature as some of the major impediments to further development of RE, highlighted in the summary for policy makers as: “sustainability concerns [9.3], public acceptance [9.5], system integration and infrastructure constraints [8.2], or economic factors [10.3]” (p. 8). Added to these are a number of other concerns discussed throughout the summary and full report having to do with financing opportunities, policy development, deployment and innovation, health and environmental concerns, global energy demand and inequities, and more (all important variables in the report). If the 77% number is presented as a high range, I would have to say based on a fair and accurate reading of the report that we are a long ways from achieving this goal, and that the IPCC is primarily looking to convey a message about the urgency of the present circumstance and the need for concerted and coordinated action (rather than making hard and fast conclusions about the projected energy mix in 40 years). Could you please point to a specific example (excluding the poorly worded press release) where a 77% RE primary energy mix in 2050 is specifically targeted and recommended as a viable and workable solution to meeting “world energy demand by 2050” (or is it simply one of four heuristics that help us understand the scope of the many challenges, which are very well known to members of this forum, and also by the authors, contributors, and reviewers of the report as well)? Further, the summary by Dr. Trainer does not consider the Special Report on Renewables within the larger context of seeking out and evaluating carbon mitigation options by IPCC (as discussed in the report itself and in the summary to policy makers). From the summary for policy makers: “Many combinations of low-carbon energy supply options and energy efficiency improvements can contribute to given low GHG concentration levels” (p. 20), with an increasing share going to RE in most scenarios. “There are multiple options for lowering GHG emissions from the energy system while still satisfying the global demand for energy services” (p. 3), with a specific mention of energy conservation and efficiency, fossil fuel switching, nuclear, and CCS, and the additional caveat that these “were assessed in the AR4” (p. 3). From these statements, it doesn’t appear the IPCC is considering RE alone (even though it is getting it’s own report), but as part of a much larger mix. Throughout the report, it appears the authors are less concerned with forecasting the optimal mix of low-carbon energy alternatives to 2050, and more on what they see as the most important drivers for change: “mitigation potential,” “contribution to sustainable development,” and “all associated risks and costs” (organized on a per chapter basis). They further add: “This report will concentrate on the role that the deployment of RE technologies can play within such a portfolio of mitigation options” (p. 3). To suggest otherwise, that they are looking to recommend a single approach (rather than a range of possibilities), I think would be a significant misreading of the report. It’s been interesting to me to see how this debate has been largely shaped by a poorly worded two page press release (by a single individual), and the response of a handful of ardent critics (who are stridently opposed to the work of the IPCC). It doesn’t give me a great deal of faith in solving any of our problems … irrespective of which side of the argument (political spectrum, interest group, or technological interest group) you fall on. The IPCC made a stab to describe the elephant in the room (from a collection of disparate and uncoordinated research papers), and the armchair critics and back seat drivers pretty much looked the other direction and sold us on the idea that everyone is just like them (and has an agenda). I don’t find this approach terribly constructive, or very insightful to the current debate. High income countries stopped behaving like a mob of randy rabbits 40 years ago…population only continues to grow due to immigration from low income countries and the 60 year time lag between when fertility rates drop to replacement and the time death rates catch up with birth rates. Of course this begs the question as to how to convince the ‘low income’ countries to stop behaving like a mob of randy rabbits. Letting them starve to death seems to have been less then successful. Oddly it appears that being cold ,hungry and poor tends to increase fertility rates rather then decreasing them. and copied the wrong label; apologies. Gregory Meyerson, on 12 August 2011 at 6:14 AM — Unfortunately not all energy growth or elimination is entirely rational. So planners need to devise means to re-rationalize; this usually requires some substative leadership. But for both of you, I’ll stand by my statement that most people in the world deeply want what they currently cannot afford; a supply of dependable (reliable) electricity. For example, in Lahore, Pakistan, the electric power supply is stopped 5 times a day for an hour each time; one can depend on it happening on a reliable, scheduled basis. In many parts of India the electricity just goes off, unexpectedly, and may stay that way for a indeterminate length of time. Which one would you prefer? Every time we speak of “renewable” energy, we are perpetuating the delusion that the world’s growth is limited by its resources. Inputs to our processes are found anew as fast as their need arises. The appalling news that we seem unable to face is that we have run out of places to put the outputs to our processes. The atmosphere is full. Our focus should be on preparing for the new climate. You know, if you go to http://www.gapminder.org, and plot “crude birth rate” on the Y-axis, and then on the X-axis plot “Literacy rate, adult total (aged 15 and above)” (or more particularly education of women), then “crude death rate” then “electricity use per person” then “improved sanitation”, you begin to see a trend. While correlation doesn’t equal cause, it’s hard to overlook the obvious conclusion that poverty elimination (and hence education, improved health etc.) is a huge part of reducing, and eventually halting, population growth. And access to large-scale, reliable energy infrastructure (I would argue) is an integral part of poverty elimination. You can call me a Pollyanna all you like, but the reality is that population is going to continue to grow for some time yet, before the brakes (poverty reduction/elimination) finally cause it to grind to a halt – so we have to come up with ways of *not* destroying the planet in the process. We have tools, we should use them. Frankly, I’m not that optimistic, but there’s no point giving up. There’s nothing about “sheer numbers of Homo Saps which is so attractive” to me, I just don’t see the usefulness of shouting “there are too many of us!” at a brick wall and expecting something to happen (likewise for with The Simpler Way). In many poor countries there is a lack of protection for ecosystems, lack of education, birth control, and democracy. There is a deficiency of the economic and social development needed to rise above a wholly unsustainable way of life. And this is key: with development, population levels off. Only developed countries have the luxury of protecting the environment. In what primitive society did they ever live sustainably? Early humans slashed and burned the forest, killed and ate all the critters, and when the local resources were depleted, they moved on to destroy a new area. We’ve always lived that way. Imagine the possibilities for reducing our impact on the environment and feeding a world of 10 billion people with superabundant energy. If transportation is cheap. If desalinization is easy. If we can build and run the high-tech systems needed to support a large population and use the planet’s resources wisely. True sustainability will require *lots* of energy. Why is it a delusion to think that the world’s growth is limited by its resources? At the bottom of every chain in our society is a resource or a sink. You eat oil, water and topsoil. If any of those are missing you starve or die of thirst. The factory farming processes, run by fossil fuels, are depleting the topsoils of the world so severely that our food has less nutrition that years ago. So exactly how do you propose we are to find new water and topsoil supplies when we need them? You may not be speaking from ignorance, but in my view you are speaking from self-interest. If sustainability and the emphasis on increasing monetary flows as the universal sign of economic ‘health’ are incompatible, then the required social transformation will be difficult and painful due to human cultural inertia. It is very much in your interest to believe that you will not be required to particpate in the pain and suffering of this transition. Heck, it is in my self interest to believe it. I am 55 years old and am still in good financial shape (though I am not sure how much longer this will be the case). The men in my family tend to live in good health until they are in their late seventies or early eighties, and then keel over and die from heart failure. Another two and half to three decades of capitalistic business as usual will probably bring me safely into the arms of eternity and leave some other generation the responsibilty of achieving economic maturity. In my weak moments I hope that this will be my fate. However, in any public discussion of sustainability I always speak the truth as I understand it: Our current economic system based on private finace and the competitive accumulation of consumption rights is inherently destructive and must be replaced by a system of community investment with socialized risk and by work and income sharing. This is not to say that risk and competition can or should be elminated from human existence. However, they must be directed to some other goal than the unbounded accumulation of consumption rights. Your prediction that growth will continue until external circumstances prevent it is probably true, but is largely self-fufillling; Every intelligent person who refuses think outside the box of the predominant social paradigm contributes to delaying the day when a serious discussion of alternatives can begin to take place. If humanity survives its current crisis and eventualy enters a sustainable age, the time will come when the idea that growth based capitalism is the only proper framework for considering economic transactions will be regarded with just as much amusement as the idea that alchemy is the proper framework for considering the chemical transformations of matter, or that Ptolmaic astronmy is the proper framework for considering the motions of heavenly bodies. Hi, regarding my comment (132849), I was pointing out that the article by Trainer (both the pdf and the text excerpted) make reference to a document, but provide no link to it. Our current economic system based on private finace and the competitive accumulation of consumption rights is inherently destructive and must be replaced by a system of community investment with socialized risk and by work and income sharing. I wish you the best of luck in your search for an effective method to overcome the unfortunately all too common human trait of sloth without resorting to another all too common human trait, greed. How I pray for the return of the SA State Bank. Disapointing report form the IPCC for mine. This was surely a better time to make a bold statement such as ‘Renewables can’t meet needs’ as it would have stimulated much more public debate, potentially around the globe. As it is we are still fighting ignorance on the issue as many still believe that it is only a matter of cost, prohibitive enough on its own but is thus linked with greed, rather than the additional issue of scalability. I noticed that George Pollark’s quite reasonable and intelligent post at 0727, 11th August, attracted a long piece by the moderator defending the editorial decision not to allow discussion of Climate Change science. Fair enough. That’s the site’s policy. 1. Dr Trainer’s piece asserts that the IPCC did not take all the available evidence into consideration. 2. In his first post (1424, 10th August) George Pollark pointed out that the IAC has also been very critical of the IPCC’s management, conflict-of-interest and assessment procedures. 3. Going further, George then cited a legal opinion that if someone (eg the IPCC) is going to claim expert status, then omitting to consider all relevant (and according to Dr Trainer, crucial) evidence is a breach of duty, and is evidence of incompetance. In other words, Dr Trainer’s identification that crucial counter evidence has not been cited, nor apparently considered, means that [i]this report[/i] of the IPCC has been incompetently prepared, that the author team has in this instance been incompetent. I think that issue is worthy of discussion. It is essentially the subject of Dr Trainer’s piece. The inference was that Prof Brook (not the IPCC, as claimed by you) was demonstrating a breach of duty and evidence of incompetency. Thus the explanation of the BNC policy was necessary and appropriate. It should be noted that BNC is run by Prof Brook in his own time, at his own expense and is a private blog which reflects his personal opinions and not necessarily those on the University of Adelaide or the government of South Australia. ??? What are you talking about here? Nominal GDP growth? This is a very simple calculation — according to David MacKay the average European uses energy at a rate of about 5 kW (pick your own number if you don’t like his). Multiply that by the worlds population and you have the energy needs to give an affluent lifestyle to the world. Half from Nuclear? Professor Brook has done this more carefully I believe. If you thinking that population will increase by 5% a year without limit, then certainly, we are doomed, whether we live rain-forest primitives or Wall Street CEOs. Evidence is pretty strong at this point that when people reach a certain level of affluence, they basically decide that having kids is not a good idea (every country from Portugal to Russia is now below the replacement rate, parts of Italy have the lowest birth rates ever recorded). So, as an optimist, I think that if we solve poverty we will also solve the population problem. And, I think we have enough mineral resources, land (if we don’t cover it with windmills) etc. to support 10 Billion (?). Energy is really the key, with enough of it the other issues are easily solved. SteveK9, on 14 August 2011 at 1:21 AM — WInd turbines, please; no milling involved. Anyway, wind turbines are bad for bats. Windmills: a not-so-subtle swipe at this new high-tech invention. Not entirely fair I realize. These two assessments say the same thing: the process used to arrive at a conclusion was not an evidentary one, where all the evidence was carefully considered and evaluated before a conclusion was reached. The IAC’s mandatory recommendations were made last year, in response to the IPCC’s request for it to identify the causes of perceived shortcomings identified in AR4. The IPCC agreed to implement all of the recommendations. What is disturbing is that, on the evidence presented by Dr Trainer, it hasn’t yet addressed Recommendation 5. Ted Trainer comes under fire from the oxymoronic “de-growth socialists” at LINKS Journal published in Australia. SteveK9. Thank you for the rebuttal of 5% growth in population and energy. 1. How rapidly can we lift the poorest to a level where population growth is curtailed? Obviously the sooner we achieve this, the lower the peak. 2. Can we achieve that level of energy and resource consumption by the world’s population at the peak (assuming population will gradually decline over the subsequent centuries)? 3. What are the least damaging paths to that peak? Climate change, peak oil, limited agrarian land, limited water, full life-cycle energy and material invested versus energy returned, and other factors are inter-dependent limitations. Nuclear (esp. LFTR/IFR) appear to be the least damaging, least limited, lowest risk and lowest cost options for the short and long term, so should be pursued aggressively – not to the exclusion of other options, but as the ‘least bad’, most promising option. It’s about 30 years from the point of universal education for woman coupled with opportunities to have a value to society other then producing children(I.E. gainful employment) that fertility rates begin to drop. (The Saudi Experience) Then it’s another 60 years from the point fertility rates drop until population levels off. Harry- please supply refs/links for your figures. Population growth rate has been declining since the early 1970s. I assume you mean on a localised level? Do you have references for the 30 year & 60 year figures? I certainly hope world population isn’t still growing through to 2100. I imagine future shifts in climate and another several decades of mass extinction will curb fertility rate – or at least, mortality rate will catch up. Q2 has been discussed at length on many posts on BNC. Q3 is the really important one we need to address “what is the lease damaging paths to the peak”. This question must be answered before we can set good policy. It needs to be addressed now. 1. The faster the developing world can develop the earlier world population will peak and the lower will be the peak. So it is in our interest to encourage underdeveloped and developing countries to develop (get out of poverty) as fast as possible. 2. It is the underdeveloped and developing world that will have the rapid growth in consumption (and CO2 emissions). 3. If fossil fuels are the least cost source of energy for them, they will use fossil fuels. 4. If we want the developing countries to burn less fossil fuels, the developed countries must develop the alternative technologies and make them a cheaper option than fossil fuels. 5. Since nuclear fuel is 20,000 to 200,000 times more energy dense than fossil fuels, it is clear that nuclear should be a cheaper way to provide our energy. We need to get there. 6. We will not get there by banning nuclear and by imposing such impediments on its development that it is prohibitively expensive and, therefore, does not get built, or does not get rolled out as fast as it would if it was less expensive. 7. If it’s not built it won’t develop. If it is rolled out slowly, it will develop slowly. 8. We, in the developed countries, need to remove the impediments that are making it higher cost than fossil fuels. 9. The developing world will not impose a price on carbon (and nor should they). So if the developed world does impose a carbon price, it makes energy in the developed world more expensive but does not help to solve the problem of providing a low cost alternative for the developing world. We are not addressing the real problem – development of low cost clean energy. 10. We need to address the real problem. That is, we need to find out what are the impediments we have imposed on nuclear that are making it more expensive than it should be . Once we find what they are we must define the program to remove them. We can do a lot of this in Australia . We could have nuclear cheaper than coal in Australia if we wanted to . 11. That is what we should address. 12. If we impose a carbon price it is exactly the wrong policy. It will make no difference to world emissions (any emissions we avoid in Australia – before we have a low cost, low-emissions electricity generation alternative to coal – will be moved elsewhere). A carbon price will not help to make nuclear cheaper. It will bury the problem. It will avoid addressing the real issue – the impediments to low-cost nuclear. It will not help to reduce world emissions. It will delay addressing the issue for a decade or more (just as the Australian Republic Referendum delayed consideration of that issue for at least a decade). Nuclear cheaper than coal in Australia. How? I assume you mean on a localised level? Do you have references for the 30 year & 60 year figures? In Saudi Arabia universal education for girls was instituted in the late 1970’s and early 1980’s. My reference is I was there when it occurred. The Saudi’s wanted some tanks and we(The US) wanted some ‘social liberation’ in exchange. Once the fertility rate drops to replacement(2.0 to 2.2 depending on who you ask) we still have about 60 years before population levels off. If we simply divide population into 4 ages groups, 1-20,21-40,41-60,61-80. It’s 60 yeas from the time the number of 1 year olds equals the number of 21 year olds to the time the number of 1 year olds equals the number of 80 year olds. I.E. Birth rate = death rate. According to the CIA the current world average fertility rate is 2.46. So we have not yet gotten down to ‘replacement’ fertility rates. The female literacy rate in Pakistan is 36%, in India it is 47%, in Saudi Arabia it is 70%. Females in Pakistan go to school on average 6 years, In India it’s 10 years, In Saudi Arabia it’s 13 years. The fertility rate in Indonesia is 2.25 with a female literacy rate of 86%. Per Capita GDP(PPP) is actually higher in Egypt by $2,000. It took India 40 years,from 1951 to 1991 to move their female literacy rates from 8% to 39% and if the statistics from the CIA quoted above are accurate,another 20 years to move their female literacy rate from 39% to 47%. According to UNESCO there are currently 510 million illiterate females in the world, 79 million between the ages of 15 and 24. The Saudi Government had an almost limitless source of cash to throw at their female illiteracy problem and it took them 30 years. Thank you for the excellent outline of the timeframe and relationships between women’s education, birthrate and population. This helps establish a foundation for a realistic requirements analysis if we are to provide basic levels of power for everyone. Hans Rosling bases this on the statistics he has gathered world-wide for his ‘gapminder’ statistical analysis site. Thanks a lot for taking the time to do that – interesting read, sound logic. Should be interesting to go through both reports (including the 1990 one you referenced) and look at key differences & similarities. I was involved in the AR4 and I looked at the Greenpeace literature and rejected it due to the assumptions and methodology used. I also argued with the new IPCC WGIII technical support unit to not use the Greenpeace Model as the assumptions were once again not based on reality and too extreme and that it would skew the results of the other models used. I still think the report is useful in the review of RE technologies but could have been a lot better. @ 16 August 2011 at 7:47 PM I explained https://bravenewclimate.com/2011/08/09/ipcc-renewables-critique/#comment-133186 some of the reasons why implementing a carbon price is bad policy. It is good to see Tom Biegler state that the true economic costs of the carbon pricing policy should be explained to the public. GARY Johns (“Convoy a revolt of working people”, Commentary, 18/8) highlights a huge problem. Most voters do not understand how putting a price on carbon will affect their living standards. They do not understand the link between energy and wealth creation. They do not understand that the inevitably higher cost of clean energy will flow through to a decline in GDP. Even when presented with the trillion-dollar cost that Johns quotes, they cannot relate it to their own living standards. And governments everywhere have been disinclined to enlighten them. The loss of a year’s worth of GDP by 2050 was clear from the earliest works on the economics of climate change mitigation, such as the UK Stern Report. Hiding that cost when introducing carbon pricing policies is a recipe for disaster. If it’s not made explicit from the outset, then the electorate will revolt when it discovers the truth. Full disclosure now is essential. It needs to be pointed out that the cost to the Australian economy will be greater than so far admitted by Treasury. The cost will be more than the loss of $1.35 trillion, a year’s worth of GDP. Firstly, Treasury’s modelling is based on highly optimistic and unrealistic assumptions. For example, it assumes an internationally-agreed, economically-efficient, emissions trading scheme. That is impossible and wont happen. Secondly it assumes that 75% of our electricity will be provided by technologies that have not been proven to be commercially viable yet – like wind, solar, geothermal and CCS. IMHO, these are unlikely to ever be commercially viable at the scale required. Thirdly, the carbon price would have to rise high enough to seriously damage the economy – a deep recession – if we do not have an economically viable alternative to fossil fuels. With nuclear prohibited, or too expensive because of impediments placed on it, we do not have a viable alternative to fossil fuels. So the only way to cut our emissions is to drive the economy into a deep, sustained recession. Fourthly, it seems Treasury may have been selective in what modelling results it wanted to show. I understand it did not use the modelling results by McKibbin, one of the three modellers contracted to do the work by Treasury and arguably the most experienced and best qualified to do the work. A Carbon Tax and ETS will slow, not speed up, the rate of emissions reduction. Because we will be less wealthy, less able to afford to implement the policies we should have implemented before we damaged the economy (permanently) and will be more concerned with trying to recover from wealth-destruction policies than in trying to cut emissions.